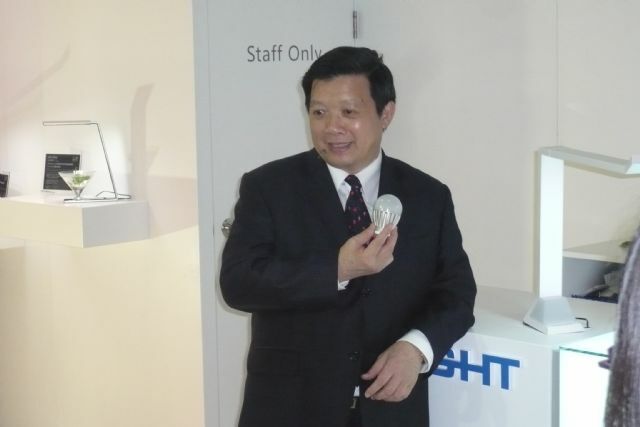 Everlight Electronics Co., Ltd. Chairman Robert Yeh says his company, world's No.1 LED packager by volume, will invest NT$10 billion (US$322.58 million) over three years and some NT$30 billion (US$967.74 million) over five years to boost production capacity depending on order growth. Yeh announces Everlight's five-year investment plan in Taiwan. Yeh has declined to comment on media reports that the NT$30 billion project, reportedly the biggest ever in Taiwan's LED packaging industry, is driven by the company's securing hefty orders from big global buyers, but conceded that the's sales revenue still lags heavyweights as Nichia, Osram, Cree, Samsung and LG. Everlight will initially invest NT$10 billion during 2015-2017 to build a factory on 56,100 square meters in Taiwan, with the location to be decided in January 2015 and to boost total capacity by a quarter upon completion, said Yeh. Industry executives believe such investments will help narrow the gap between Everlight-Epistar group and Nichia in near term; while market consultant LEDinside expects Everlight to advance in global rankings with such investment plan. Industry executives say although Everlight operates plants in Suzhou and Zhongshan of China, the multibillion investment plan shows the company's will to keep manufacturing in Taiwan, in contrast to most of the island's LED makers due to the reality of China being the world's No.2 lighting market after Europe, coupled with subsidies to homegrown epitaxy wafers for expansion. Yeh said in 2015 the company's sales will mostly be driven by indoor LED billboard, LED lighting and LED backlight markets. The company commands as much as 60% of global market for indoor LED billboards, als planning to boost output to 500 million sets monthly from the current 100 million upon completion of the factory. The company has reportedly landed sizable orders for billboards from American and mainland Chinese buyers. The 2015 LED backlight market will be driven by 4K- and 8K- LCD TVs for such TVs need more LEDs to increase brightness, said Yeh, adding that although LED TV backlight market is saturated, his company will take away orders away from competitors in 2015.